The Maritime Republic, together with Amalfi, Genoa and Venice, contains history and culture. 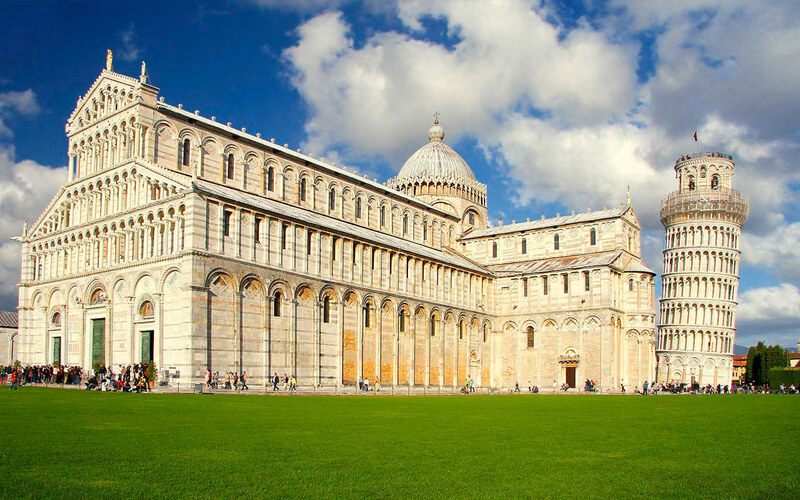 Pisa is the most famous Italian monument in the world, the Leaning Tower, which stands out at the center of the Piazza dei Miracoli, nicknamed by the poet D'Annunzio, and together with the baptistery and the cathedral create the open-air museum among the most visited in the world. In the evening the illuminated lungarni give a pleasant frame for an aperitif or dinner at the edge of the famous river that cuts half the city. To complete the visit you can see the Cathedral, dedicated to Santa Maria Assunta, which is the most significant example of Romanesque Pope's art. The architect Buscheto, blending the classical tradition with elements of Norman, Byzantine, Early Christian and Arabic art, has created an original style that anticipated the Florentine Renaissance.